It has gotten HOT this summer in NYC. While we might have had quite a few rainy days earlier in the year, New York City has wasted no time in heating back up to its normal, steamy summer temperatures. But after all, it’s August and that’s to be expected (no matter how much us New Yorkers complain that it’s not). Luckily, we have plenty of ways of escaping it. 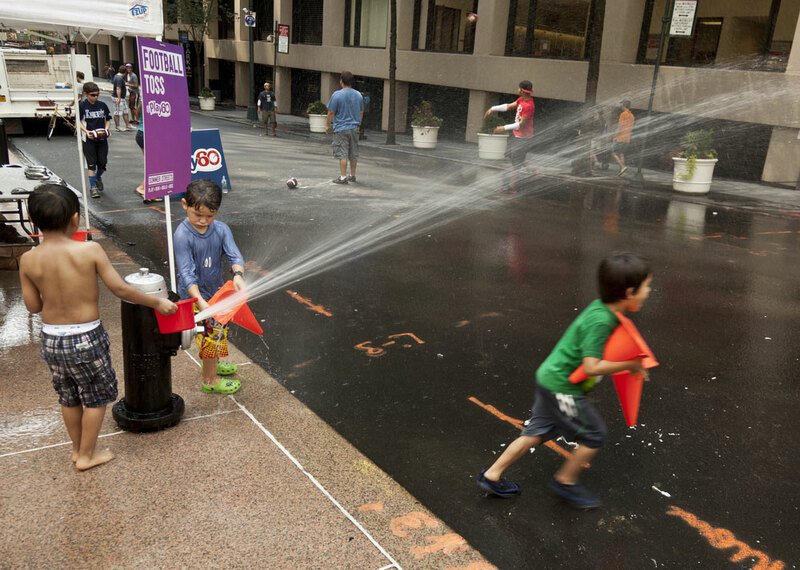 Here are five ways to beat the heat in NYC, during your visit. There are times in the summer where your entire day becomes a journey from one air-conditioned space to another. Don’t do that out of necessity. Instead, make it work with your travel plans. This factors in quite well if you have any museums on your New York list. Head to MoMA, or even better head to the Met. You could spend days in the Metropolitan Museum of Art and never see all it has to offer. Just a word of advice, you might consider taking the bus instead of the subway...it gets pretty hot underground on summer days. There’s no better excuse to treat yourself to some ice cream than on a hot summer day. And because we’re located in the heart of Midtown Manhattan, right next door to Penn Station and Madison Square Garden, all of the city’s best ice cream shops are just a hop, skip, and a jump away. We especially like Morgenstern's and Mikey Likes It on the Lower East Side. And then there’s Milk Bar which is just one of those places you HAVE to check off your New York City bucket list. For more recommendations, check out our recent blog post. New York City is home to some of the best chefs in the world. Why not take some of that knowledge with you? Luckily, many of the city’s restaurants and culinary institutes offer classes from everything to ice cream to handmade pasta. And a hot summer day is the perfect excuse to get back in the [air-conditioned] kitchen. One of our favorite classes comes from Mille-Feuille Bakery, aka the city’s macaron extraordinaire, in which they break down the entire macaron process, from start to finish. Want to do dinner before dessert? Here’s a list of even more cooking classes in the city. Going to a TV show taping is one of the best ways to beat the heat in New York City. Most are filmed in the afternoon when the sun is at its worst, giving you the perfect excuse to avoid it - and to see some of your favorite TV shows up close and personal, like Stephen Colbert, Jimmy Fallon, Wendy Williams, and Dr. Oz. Even better is that the studios turn the air all the way up to combat the heat from the studio lights, keeping the buildings nice and frosty. We’ve saved the best for last. A spa day is probably is the best way to spend your summer day. Not only do you spend the entire day sheltered from the sun, you also get to spend it in ultimate relaxation. Treat yourself to a massage or erase your stress with a facial. After all, you are on vacation. Even better is that there are some great options just a few blocks from The New Yorker, like Ohm Spa, which specializes in massage therapy, and Aire, which is an entire complex of thermal baths.